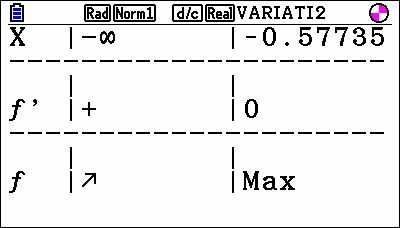 Is it possible to make an add in or a basic program that can represent the variation table of a fonction and the sign of the derivative? I tried and managed to make a program to do this, in basic. I used the command SolveN( to find the roots of the derivate equation that the user write, so it only will display up to 10 zeros, even if the function has more (like trig functions for exemple). I think it is working properly, however, only tested with 4 equations. Is it possible to port this program to the fx9860gII and to put the roots in exact value ? I saved it as *.g2m format (and I think that it doesnt use any fx-cg20 basic exclusive command) , so should be compatible with fx9860gII without any change. My emulator has expired and I do not have this calculator here, so I can not test currently. The program can show some roots in exact value, like some fractions, but if for example there are square roots in the root value, when the calculator stores the data in a list, these values are converted to decimal values and is not possible to retrieve it. You can always write SolveN(Y2) in the Run Matrix, after run the program to get all exact values if you need. I'm not sure if is at all possible to save each root as a string in Str vars for exemple, because what SolveN return is a list. 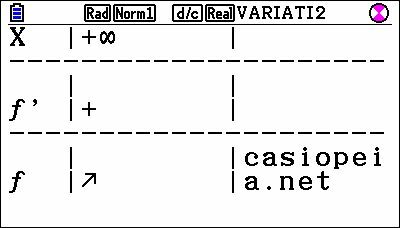 But even if were possible, would be another problem: lack of space to show the exact value in the screen because usually these exact values are extense when written in 2d and the current program interface has a limit of 8 characters to display the roots value. For me the program is ok, sometimes showing the decimal value. In my opinion is the best solution. You are perfectly right with the decimals ! 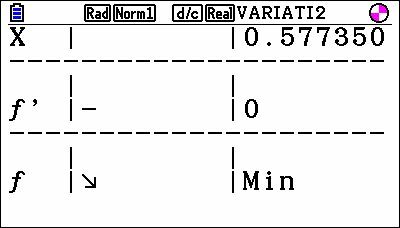 Can the program display the whole variation table on the screen ? I tried it on a prizm (not mine, one of a friend) its great ! Could you make it look like this http://ww2.ac-poitiers.fr/math/IMG/png/ ... on_res.png ? Thanks and great job again ! I don't understand why but when I enter an equation: x^3-x (like you did for the picture), it says me that SolveN(Y2) gives no solutions which is wrong it should give x=-sqrt(3)/3 or x=sqrt(3)/3 ! I tested the program on fx9860GII and it seems that there are some problems with SolveN function. The calculator does not seem to be able to solve d/dx(x^3-x) for exemple, contrary to Prizm. 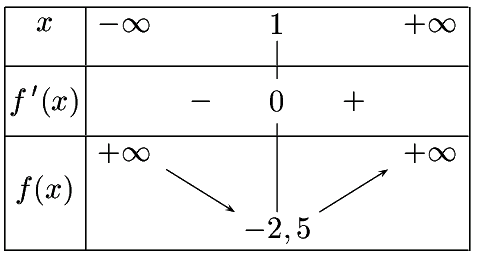 However calculating the derived equation manually, gives the correct result. There is nothing I can do to solve the problem, except perhaps create a version just for fx9860gii and ask by the derived equation also.